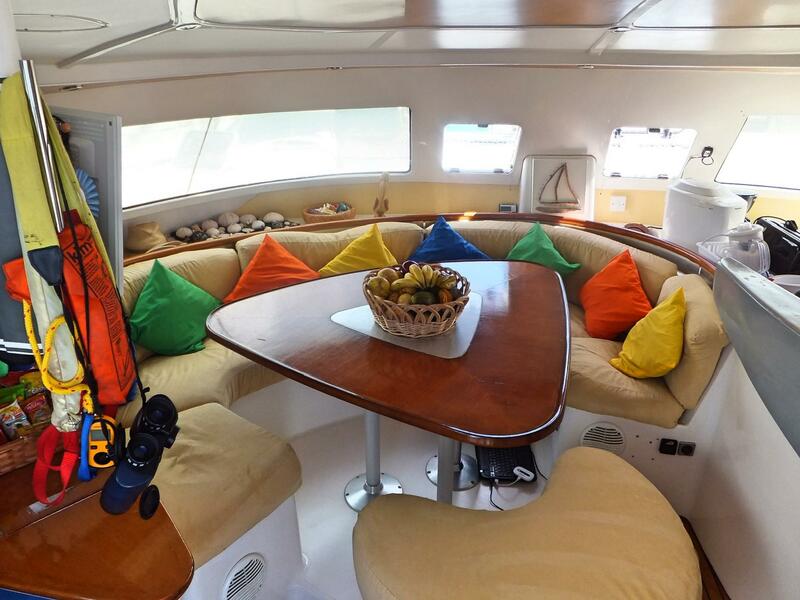 This beautiful and spacious vessel offers everything you to enjoy your getaway at sea. 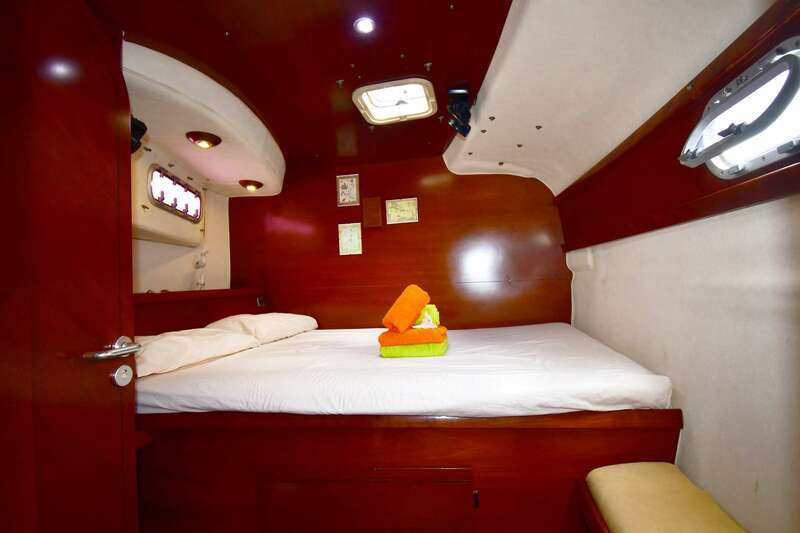 The Imagination can accommodate as many as six guests in its three guest cabins, which are located in a separate location away from crew quarters. 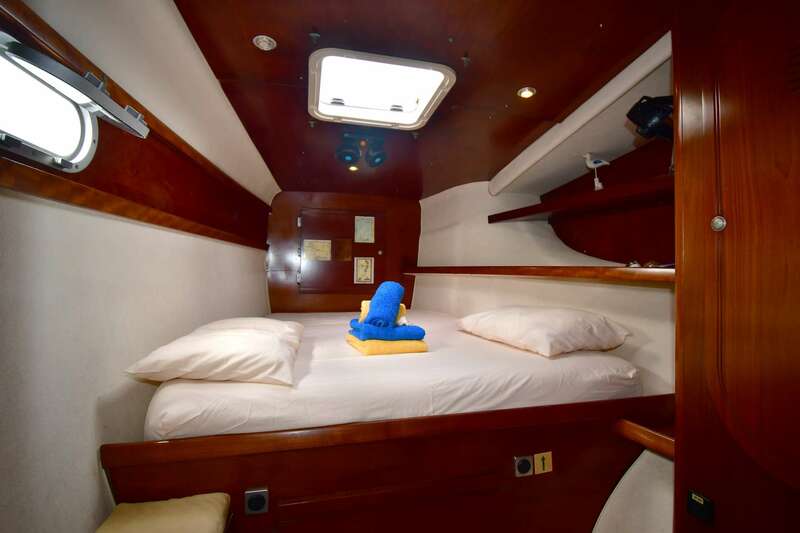 Two aft cabins have full-size berths, while the forward port cabin contains queen-size accommodations; each cabin has its own en-suite head and shower. Guests can enjoy socializing and relaxing in the expansive saloon, which is sectioned off from the galley by a bar area, or on the shaded deck. 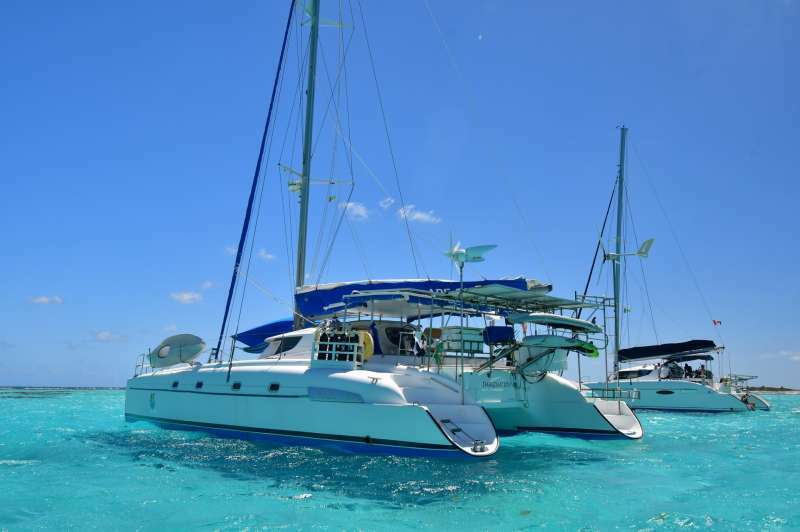 This yacht offers snorkeling and fishing gear, as well as onboard scuba, for those who enjoy active pursuits. Gear is available in a variety of sizes. With an inflatable kayak and a windsurfer, you can enjoy your sea outing to the fullest. To get some downtime, guests can also choose from a variety of beach games and board games or relax in the two-person hammock. The meals are another highlight of the experience, prepared by an experienced and creative chef. Highly trained and proficient crew members are there to ensure smooth sailing and to provide an amazing experience for each guest. 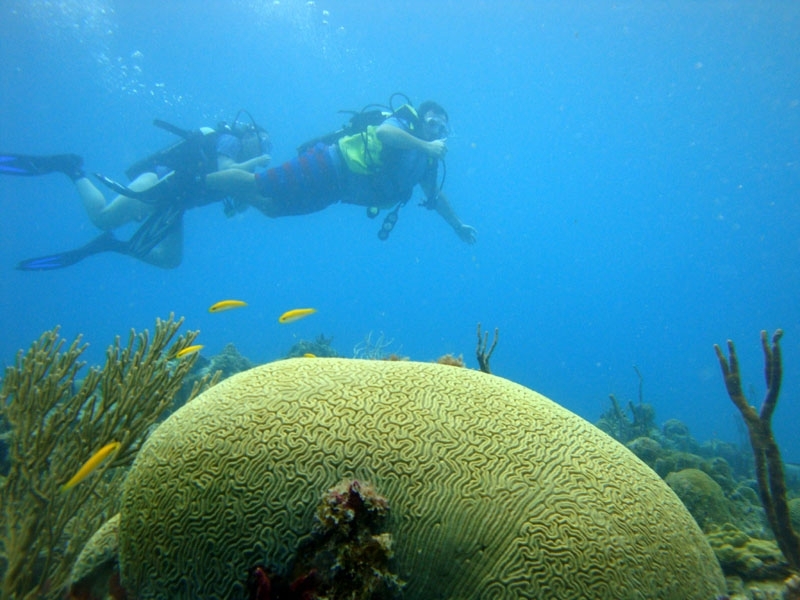 Our Activities Director is also a certified scuba instructor, who is available to work with all ages. 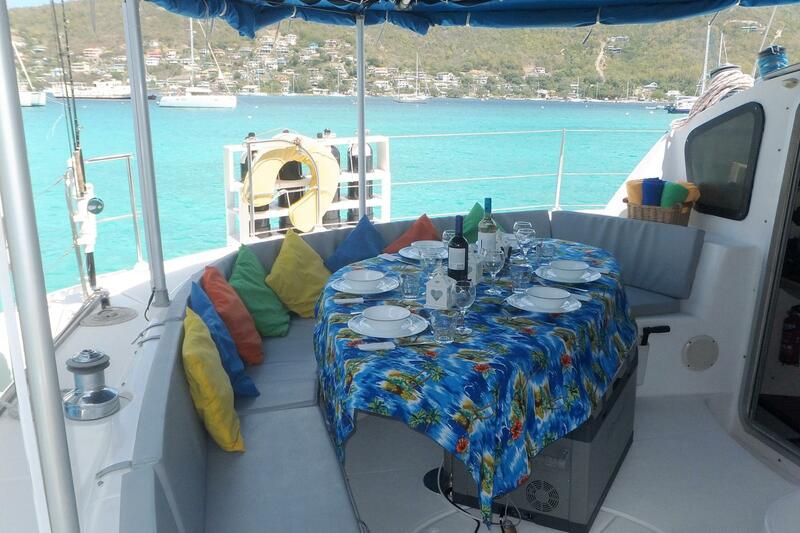 The accommodations and facilities on this yacht are designed to provide a great experience for guests of all ages. Children will enjoy the pool noodles, games and shaded trampoline; for inside play, board games for a range of ages are provided, as are art and writing materials. Safety is a paramount consideration as well. 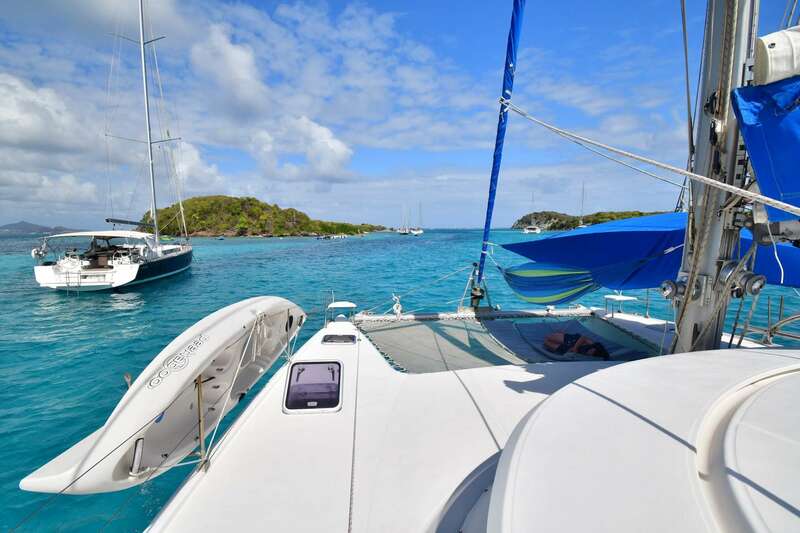 The Imagination’s crew members possess the years of experience and training that enables them to monitor and maintain all systems onboard, and are proficient in handling weather situations and any other issues that may arise while sailing. You can feel confident knowing that you are in safe hands with your crew. 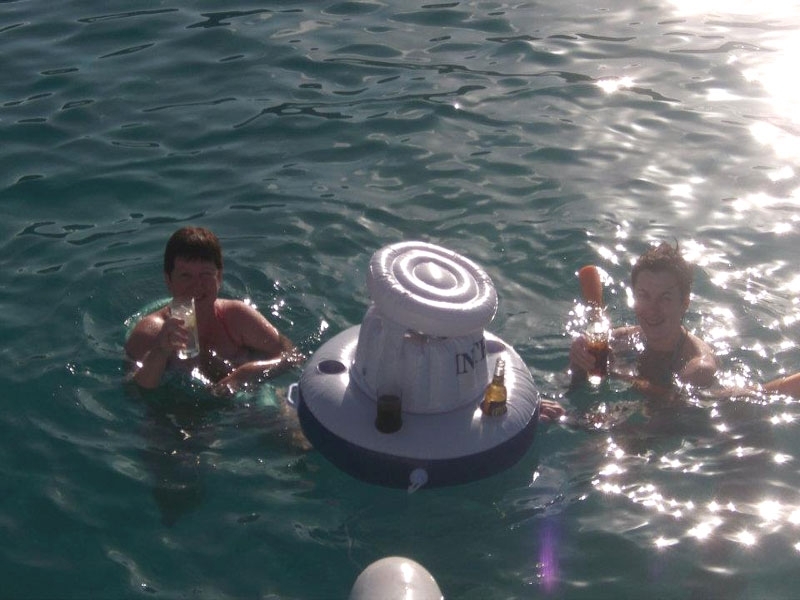 Hop aboard the Imagination and enjoy the vacation of a lifetime. If the third times the charm, Shawn Dear has found his true calling as a charter captain. Career number one, spanning 16 years, put his Honors Degree in Electronics Systems to good use. Now, maintaining IMAGINATIONs communications and navigation equipment keeps Shawns electronics skills up-to-date, while career number two as a UK policeman sharpened his people skills to deal with all situations that arise sailing the seas. 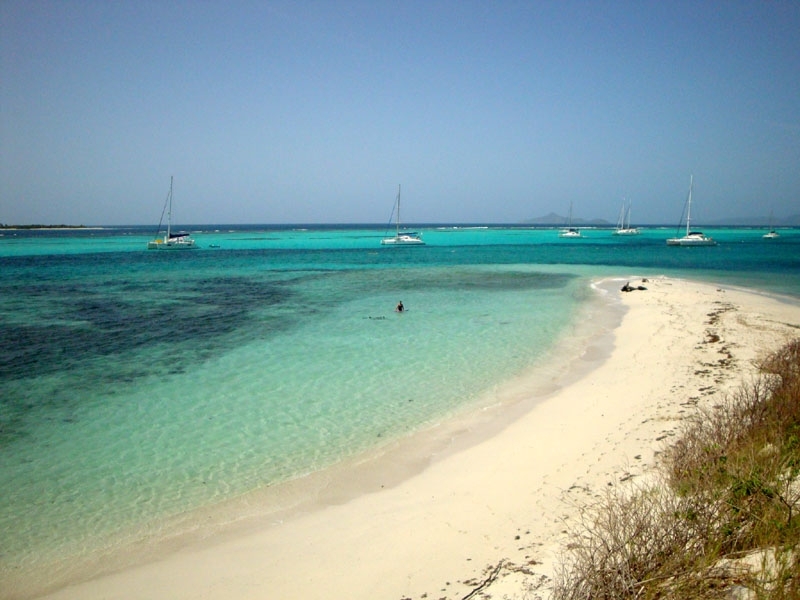 Captain Dears main areas of knowledge are St. Vincent and the Grenadines, Grenada and the BVIs. 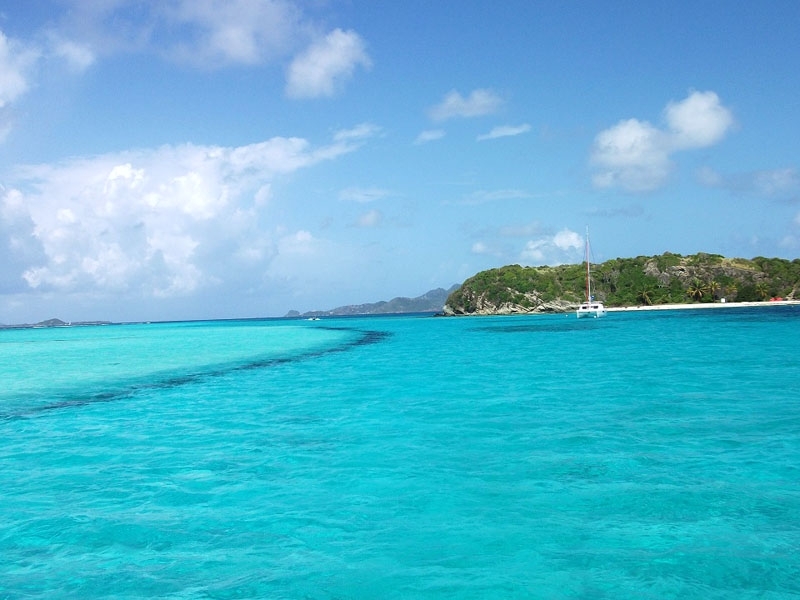 His sailing experience includes crewing on private monohull yachts and skippering a variety of multihulls for Tradewinds Cruise Club out of Bequia, St. Martin and the BVIs. For 18 months he was the First Mate on the Tall Ship Royal Albatross based in Malaysia and Singapore. 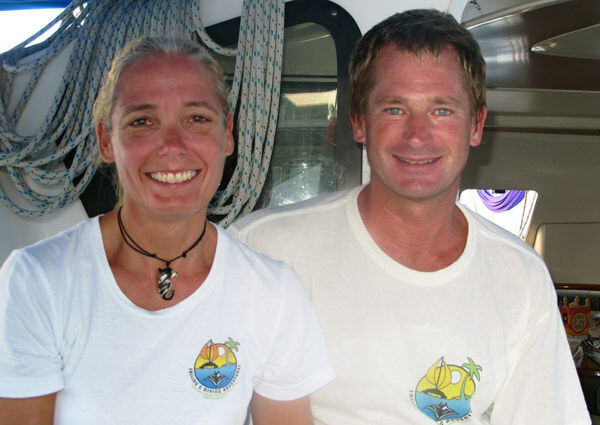 He has sailed the coast of Southern Africa from NW of Capetown, past the Cape of Good Hope and up to Durban and back - and done an Atlantic crossing from Antigua to Bermuda and on to the Azores. 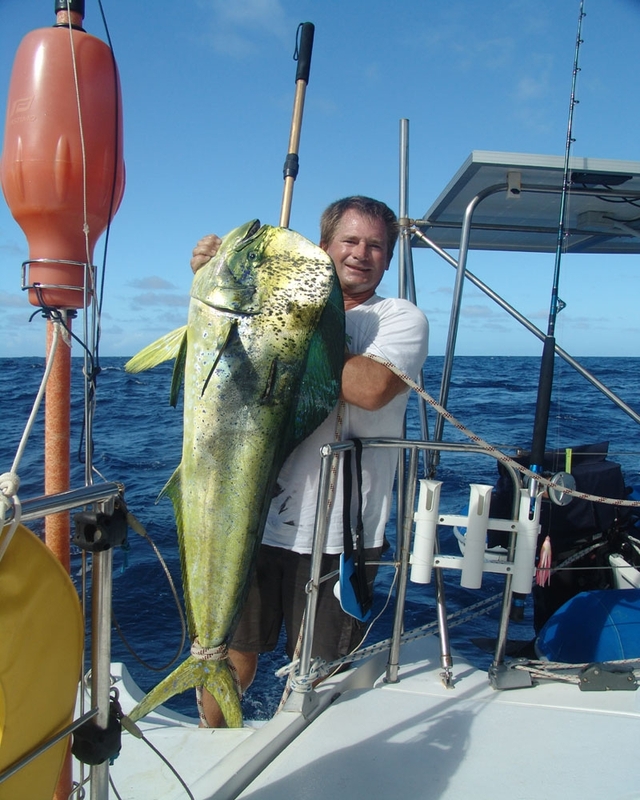 Shawn is interests include squash, martial arts, fishing, windsurfing, hiking and diving. 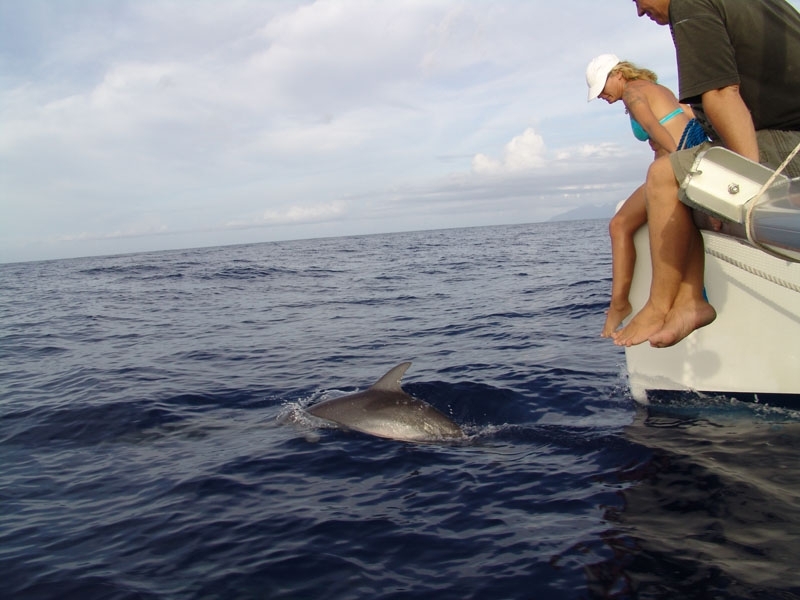 He enjoys having kids on board who like being on the water and can swim. 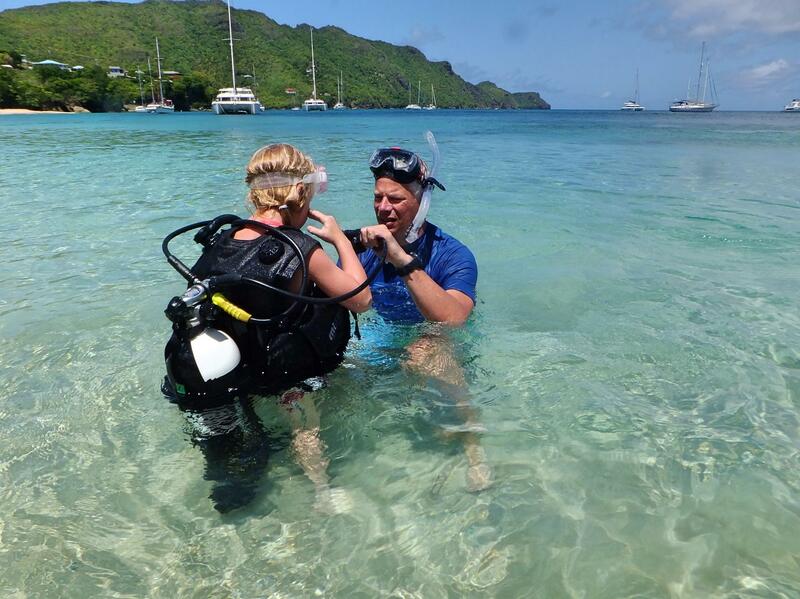 Describing himself as a very patient PADI MSDT Scuba Instructor, Shawn is fully comfortable taking children as young as 10 years of age diving. 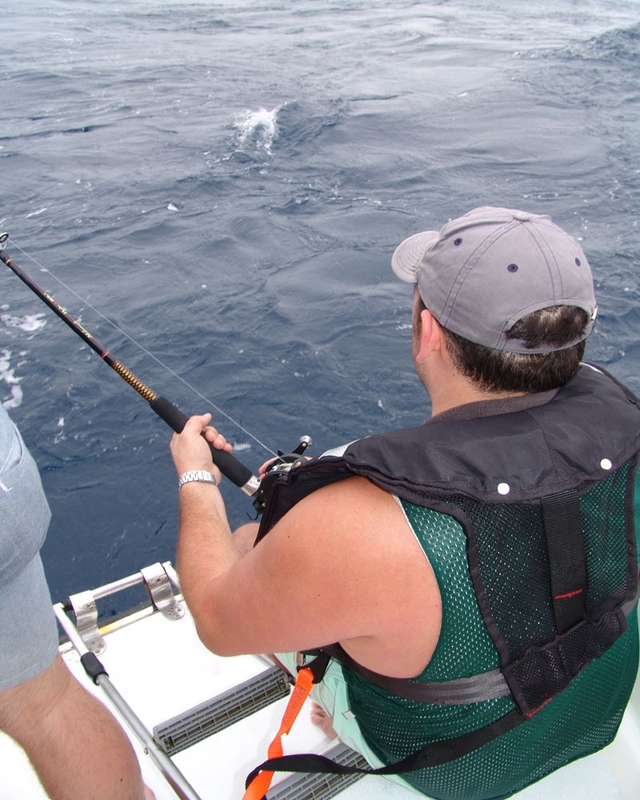 In his role of Activities Director he has stocked plenty of fishing gear on board, plus an inflatable kayak, windsurfer, noodles, lots of beach games and scuba gear in an assortment of sizes. There are board games for the rare rainy day and as children first come aboard, they are given a notebook for drawing, painting and writing about their sailing adventures. 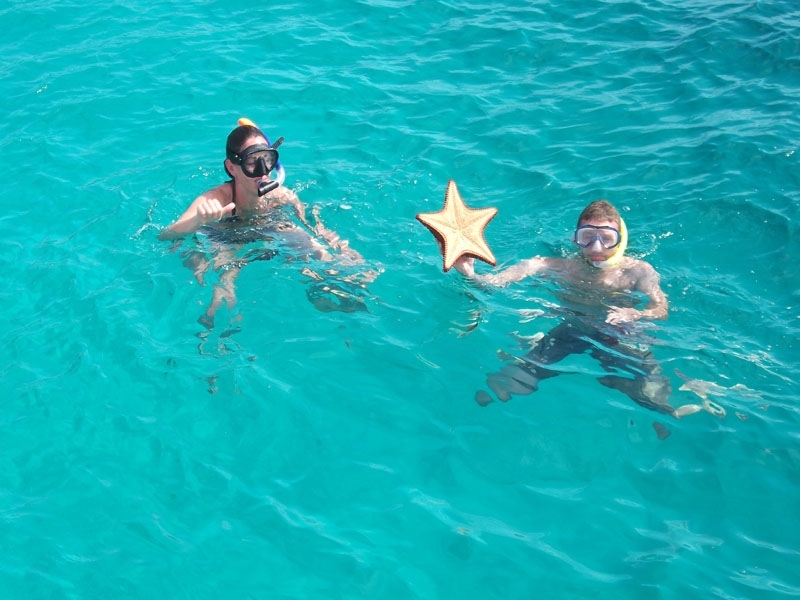 Captain Dear does his best to give IMAGINATIONS guests of every age the holiday of a lifetime whether that will be an activity-filled cruise or lazy days to relax, chill out and recharge. Ally started handling boats as a youngster messing about on sailing dinghies in the estuaries of England. Fast forward a few decades to find her island hopping in the West Indies, confidently handling all the duties of First Mate and Chef aboard IMAGINATION. To ensure her guests enjoy the best provisions and the highest quality local ingredients, Ally prepared, tweaked and re-tweaked dozens of recipes, creating menus to suit a variety of palates and dietary preferences. Her dishes are inspired by the cuisines of the southern United States, Italy and France - with "the occasional Caribbean twist." 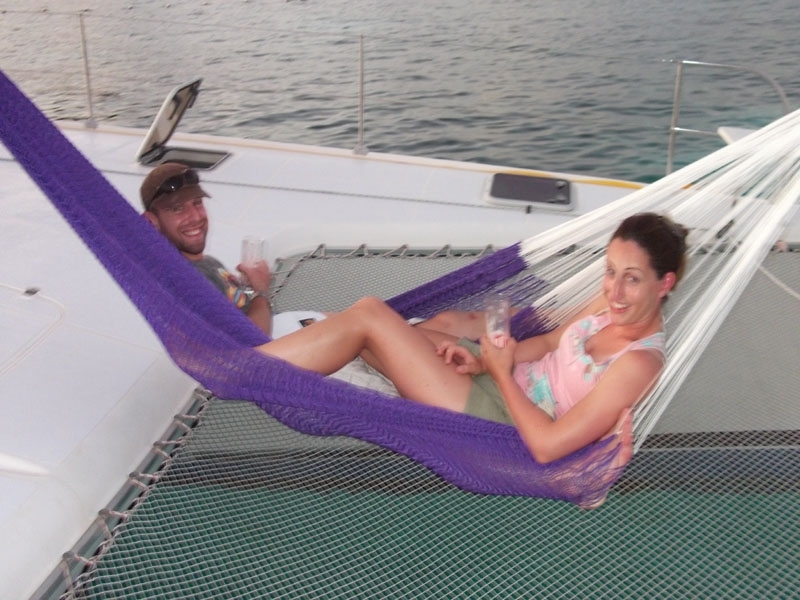 With Shawn, Ally has logged thousands of miles on IMAGINATION sailing from St. Lucia to Grenada learning all the best spots to take charter guests. 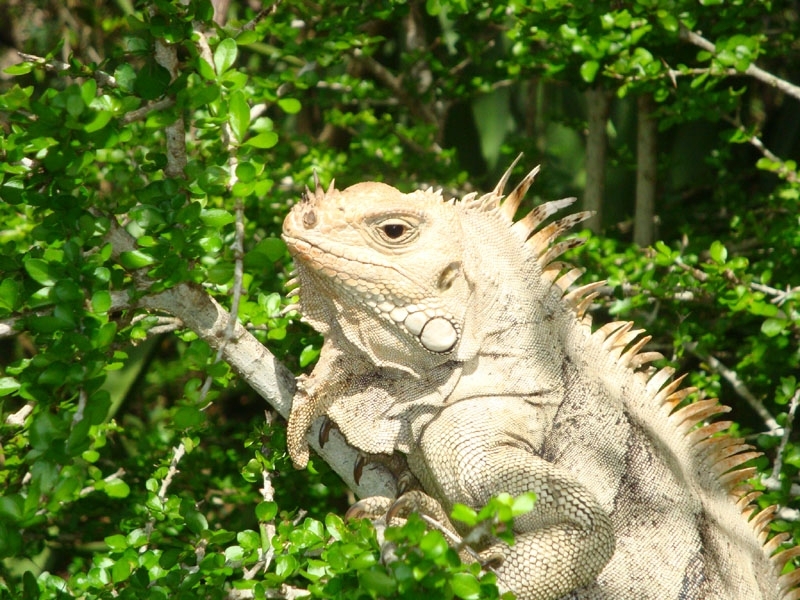 They both love hiking in the rugged beauty of the Windward Islands and discovering the wonders of the Caribbean underwater world. Ally, a PADI Qualified Open Water Diver, is continuing her SCUBA training with the aim of becoming a Divemaster. Before persuing her career at sea, Ally was a Registered General Nurse at Poole Hospital Trust in England for 23 years.